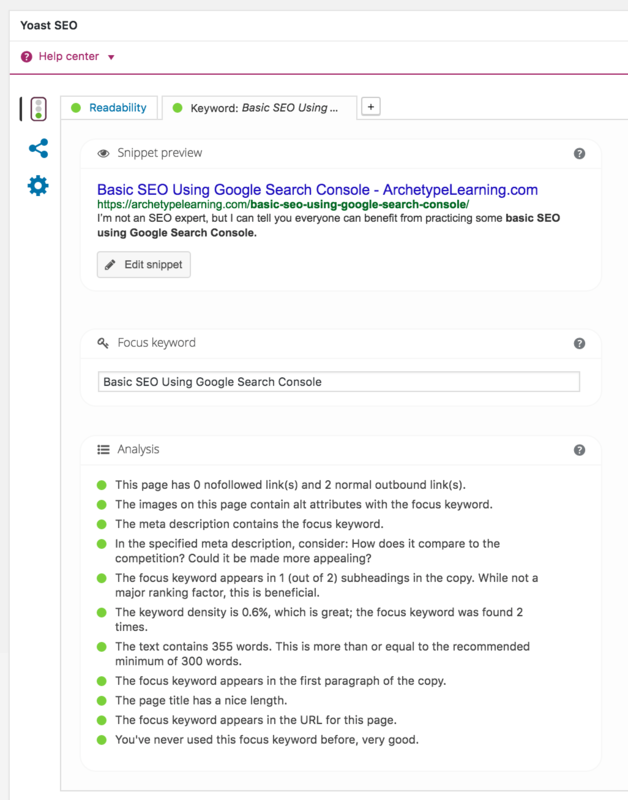 I’m not an SEO expert, but I know from some experience that everyone can benefit from practicing some basic SEO using Google Search Console. It’s not too hard to get some decent SEO for your site. And if you are new to doing SEO you might feel overwhelmed. 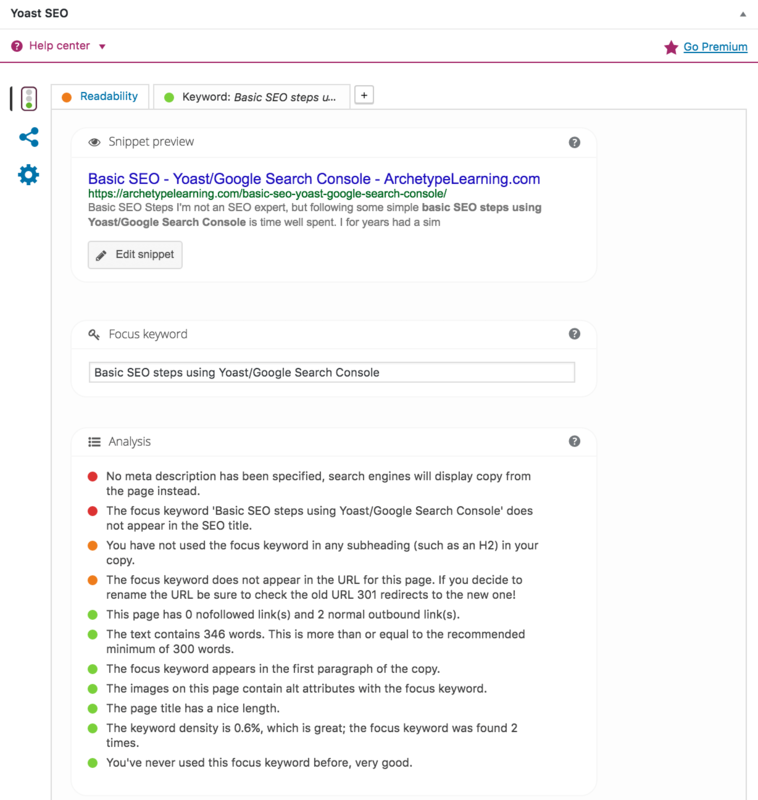 So here’s some simple basic SEO steps using Yoast and Google Search Console you can do one step at a time. (I’m assuming you have a WordPress site with an administrator account). Create a Google Account for your site, or use one you already have. Here’s a couple screenshots from the Yoast interface, before and during shots for you to compare. You can always do more than these steps, but just these steps get you started.